uhoh toys: New Reading Monsters For Sale! 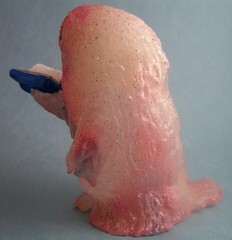 Posted two new Reading Monsters and sold out of the Hot Pink Explosion within 1 hour! I've got a couple commissions to work on and two new figures in the works. I believe one new toy will be on display at the Resin Collective show.